Few professionals understand the meaning of community more than a REALTOR®. The real estate community is broad. It includes your fellow REALTORS®, affiliated business professionals, your clients and the larger community in which we all live. As your local REALTOR® Association, GAAR is here to help you better connect with your community. REALTORS® make an impact in the communities they work in. Below are some ways GAAR members can get involved in the community. Volunteer for a GAAR or SWMLS committee. Join affiliated groups of the larger real estate community. Advocate for the real estate industry, homeownership and private property rights. To request promotion, volunteer support or items for your charity follow the instructions on this form. To request funds for your charity follow the instructions on this form. Below are links to our local Signature and Good Neighbor Charities. The REALTOR® Fund of GAAR provides a permanently sustainable fund to aid in creating adequate housing, building functioning cities, developing productive industries and preserving a healthful environment in Bernalillo, Valencia, Sandoval, and Torrance Counties. Special fundraising events – like our Awards Gala, Golf Tournament, Bowl-a-Thon and more – are fun and effective ways GAAR members give back to the community. Every year, GAAR REALTORS® and Affiliates volunteer with others from across the country will unite for Make A Difference Day, one of the largest annual single-days of service nationwide. Good Neighbors are REALTORS® and Affiliates that dedicate themselves to volunteer service. They donate gifts, money, and – most importantly – a lot of time to their charity. REALTORS® helping REALTORS® – Providing assistance for the RANM family when they encounter financial hardships beyond their control. 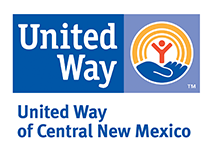 REALTORS® helping Central New Mexico Communities – Find volunteer opportunities, the United Way has many non-profits listed and described on their site. It's a one-stop website for volunteerism.